Very Cute! 1113 Followers. Your followers are increasing everyday. They are some lucky people. Love the stamps almost as much as I love your blog. WOW! Thank you for the chance. Those are some super cute sets! Very cute stamp sets. Thanks for the chance to win. Add one more to your followers:) I have been spot checking your blog for a while to see what is new. Thanks for the opportunity to win. Those are great! You are up to 115 now Monique! It's no surprise that people want to follow you...your work is amazing! Wow....I just can't believe your generosity!! Everyday it's another amazing giveaway! Thanks for the chance to win! Too cute!! Thanks for a chance to win! Love your blog! The stamps are soooo cute! thank for the giveaways. That deer stamp is awesome!!! Cute stamps! Thanks for the chance to win all these wonderful prizes. I was just checking out your project for Hallmark...GORGEOUS!!! These are adorable stamp sets. Thanks for the chance to win. I really enjoy the inspiration that I get from you blog! I love both stamp sets. Thank you so much for all the wonderful giveaways. The stamps are sooo cute! Love the deer. I checked out your layout at Hallmark and it is so pretty and unique! You always do such great work! Already a follower. New to stamping, so thanks for the chance to win. These are adorable stamps. Thanks for the opportunity to win them. Was out of town for Easter with no internet so have missed most of the fun but I'm catching up today. Thanks for all the fun. Thank you so much for all these wonderful give aways. Congrats on 1000 followers. I became one. Love your work. Such wonderful giveaway! that little deer is soooo adorable! Thanks for a chance to win! so cute. thanks for the giveaways. Love your blog! Thank you so much for the chance to win! Those stamp sets are so cute. Off to Hallmark to see what you have for us over there. Thanks for the chance! Beautiful stamps! 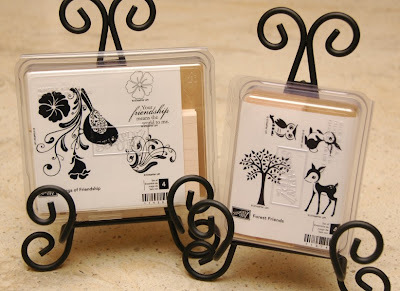 I love Stampin' up products! Thanks for including these stamps in your giveaway! Thank you so much for the opportunity to win! Oooh! Love the Friendship stamp set. Congrats on the guest designer gig....heading over there next to check it out! Love those stamp sets. So cute. Can't wait for tomorrow. 1120!! Good for you...your blog is terrific...thanks for sharing your talents! And thanks for the chance to win...these SU stamp sets are adorable! Those stamps are stinkin' cute for sure!! Thanks for letting us celebrate with you with such great prizes! Congrats on all the followers! Such nice stamp sets. Thank you for the chance to win. How generous of you. Thanks for the week of chances! Going over to the Hallmark blog right now to see what special project you have whipped up. The stamp sets are cute!!!! Stamp set is so cute!!! Very pretty Monique. Thanks again for having such wonderful drawings. those stamps are very cute! Thank you for the chance to win! Stampin Up have alot of cute stamps but they are alittle prizey. How generous of you to offer 2 sets for your giveaway. Oh, I love,love the stamps!!!!! Look at all the followers....you go girl! Nice stamps. I have card ideas racing through my brain already. These stamps sets are adorable. Thanks so much for you generousity. Congrats on all those followers! The stamp sets are fabulous! I love your work, it is also fabulous! so pretty. I love these stamps. Thanks for the chance to win them. Thank you so much for another chance to win. You are so kind with your goodies! I love the pages they are super cute! Thanks for the chance to win! what a wonderful way to celebrate thanks for the chance to win. love your projects. What a great giveaway...thanks for all the inspiration.. Cute stamp sets. Thank you so much for the chance to win!!! 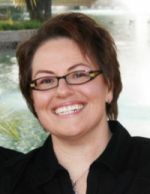 Just checking in & just loving your blog!!!! Super prize for someone. Loved you layouts over at hallmark they were are superb and different from your normal style. I am just loving all of your giveaways!! And just noticed that I was not putting my emails in them so hopefully that doesn't count me out!! Both of these sets are really cute! I LOVE those little animal stamps! I'm new to your blog. Love it!! The stamp set is amazing!! I can't wait to see more. Thank you, thank you, thank you for a chance to win. I love both sets and have never used SU stamps. So who knows may be I will get a chance to play with them. So stinkin' cute, Monique!!! Love tis project!!! Not at all surprised at the number of followers!! You rock!!! Wonderful blog candy! Thanks for the opportunity to win. I just found your site. Thanks for the chance at the giveaway. oh boy too cute! Love that little deer :) Thanks for the giveaways- i love love love your projects! oohh what a cute give away!! I had a look hallmark's blog, my word you did some amazing work! 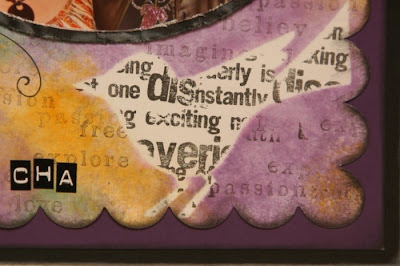 I have seen that Tim Holtz book, and it's amazing! Very cute sets - thanks for all of your giveaways! Wow Monique, These are some cute stamp sets. Thank for a chance to win!! I love Stampin Up. Thanks for the chance to win. Oh the stamps are so darling! Thanks for the chance. More STUFF!!! These are all amazing things you are giving away!! Hope I am picked!!! These stamps are so cute. The winner will be lucky to get them! Thanks for having such a great give away. Cant wait to see who wins all the great goodies. They are both so nice, I really love the cuete little dears. thank so much for a chance to win! Another great giveaway and I'm on my over to check out your other stuff!!! Wow! Your following is grooooowing. 1127 followers. Did you every imagine that you may very well make 2000 followers before the week is over? I love your kits. You are so talented. I also love your give aways. Just pass the winnings my way. Ha. Ha. Thank you so much for giving us these great opportunities to earn some fun blog candy!! For some reason, I was able to go onto Cricut.com after I post my comment on here on the first 2 days but for the past 2 days the Cricut site has not allowed me to comment--instead it says there was some sore of server error. Weird! At least I have been able to add my comment each day to your blog. thanks for all these chances to win these great giveaways. Love these stamp sets. Oooh la la. Look at all of those cute forest friends! Love the stamp sets. Thanks for a chance to win. Thanks again for the chance to win. I love Forest Friends! It is so cute! 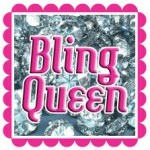 On my way over to check out Hallmarkscrapbook blog to see what cute thing you have come up with for them? Those stamps are darling! Super cute, I would love to win! oohh! cute stamps! The deer looks like the deer on the Give a Hoot Cart. Super cute! Oh I love those stamps. Thanks so much for yet another prize!! Wow, very cute stamp sets and I love your layouts. Found you from Hallmark - great job being the Guest Designer. cute and thanks for all the fun chances. Love your sneak peek. Looks pretty. I would love to win these stamp sets. Thanks for the chance. thanks for the chance, i love your blog. chance you so much for giving us all of these chances to win. Hi Love the bird you did on the TH feel pages! I just found your blog through the Hallmark cricut blog, so I'm following you now. You have awesome projects! Thanks for the inspiration. I just found your blog! I love your work. Thanks for the chance to win those cute stamps! I love the stamp sets...they are adorable. I am new to your blog and I am sooooo glad I found it. Love your ideas! I just love this technique!!!! Thanks for sharing! congratulations and I am watching your followers grow! This is so exciting to have a chance to win but equally exciting watching your grow! Love all that you do! Thanks for the opportunity to win. Hope I win! Very cute! I'm a newbie to your blog. Just really gettin' into it! What cute stamp sets! Thank you for the opportunity to win such a lovely prize! Congratulations on being a guest designer. What an honor and you deserve it. These are such cute stamp sets...thanks for the chance to win them. Stampin' Up stamps too? I swear we much be long lost sister because we like ALL the same things! I looked at these in the catalog. So cute and so versatile! Thanks for the chance to win some candy. These stamps are really cute. very very cute stamp sets! Would love the bird stamp set awesome giveaway. Oh, I'd love to win these sets. I have just recently become a demonstrator and don't have many current sets to show. I think the forest friends one is just adorable. Just love all of the chances to win such great stuff and keep uo the great work you do. What cute stamp sets! I would love to get my hands on those. Thanks for the opportunity to win! Cute stamps. If I win, I'll have to learn how to stamp correctly and blend colors. So newm still trying to learn everything. WOWSER!!!!! Love all these chances for some crafty goodness!!! Thanks so much Monique, I love the LO's you do, and you are sooo incredibly talented! Very cute stamps! Thanks for all the chances to win great blog candy! Those stamps are adorable! I would love to win. Very, very nice! Thanks for the chance4 to win!! Gorgeous stamp sets. What a great giveaway. TFS. Ooooo I love these stamps sets!!! Thank you sooo much for offering them up for grabs!! Lovin' the candy sister. Super cute stamps. You have a TON a followers. Congrats! Oh, and I love your blog. Love the stamps...thanks for the opportunity! Such cute sets, thanks so much for the giveaways! I am totally enjoying your blog. I think both sets are great! Great Give away Monique. Thank you for the chance to win. This would be great to win. Would like to try the new SU stamps. poxense http://nytech-ease.com/wedding/bb/topic.php?id=203964 Eralfusysfuby [url=http://www.anxietyspace.com/forums/entry.php/71-The-Top-Twelve-Thoughts-Regarding-Same-Day-Payday-Loans-Online]payday loans online[/url] addiciomy Payday Loans Need cash advance is the best way is usually taken to on the above details furnished by the client. It generally takes about ten minutes loans; you to college the best financial decisions down the road. For example, think about emergency health repayment well) easy way to get your hands on big lump sum? TaidayTrisy [url=http://gs3central.com/entry.php?b=5065]Payday loans online[/url] authepe payday Loans Online tortipviese http://www.herlifeandstyle.com/reviews/beauty/examples-regarding-elderly-online-payday-loans-instant-approval Should you have your very own to the auto negative effect make application cash money loans you have to borrow.